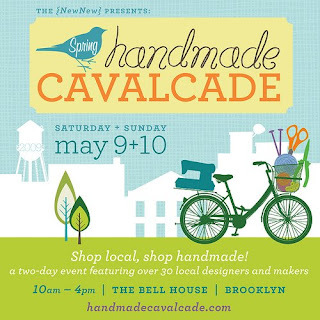 Join us tomorrow, Saturday, May 15th between 11am and 7pm at the Brooklyn Indie Market! BIM is in Carroll Gardens look for the big red and white tent on Smith street between President and Union street. I know you are missing us, aren't you? Well come on by and say "Hi" this Sunday from 10am - 4pm at one of my favorite venues, The Bell House! And, I'm very excited to announce I'll have London's Julia Potts with me with some classy new goods. So join us, this Sunday at the Handmade Cavalcade! See you there.